New setup completed last weekend, was too tired to update. I did 4 grow bed by mixing old growth media and new, this hopefully will accelerate grow bed maturity. All plants from old set moved to this, and I am a bit worried that they might die. I run the pump 24/7 to ensure a faster recovery. Those Tomatoes plant already starting to bear flowers and chillies are doing fine too. After the replanting, let's see whether they will recover. 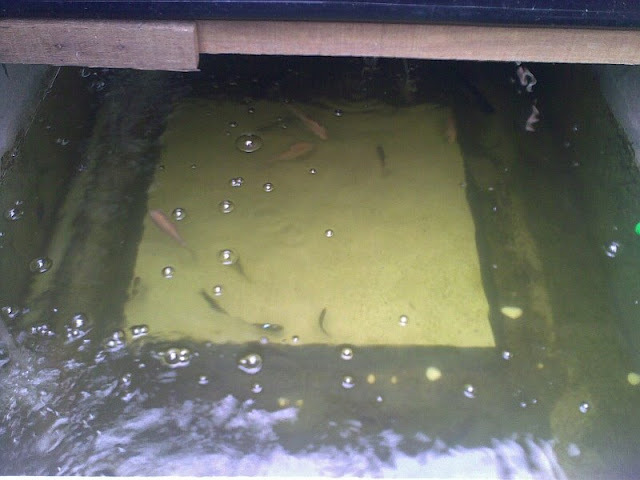 No problem to the fishes, they are doing well especially with extra space provided. I put on hold on getting new fingerlings, I want to see some progress on the fishes then I'll add more. Keep us updated with how the plants go after the transplant. 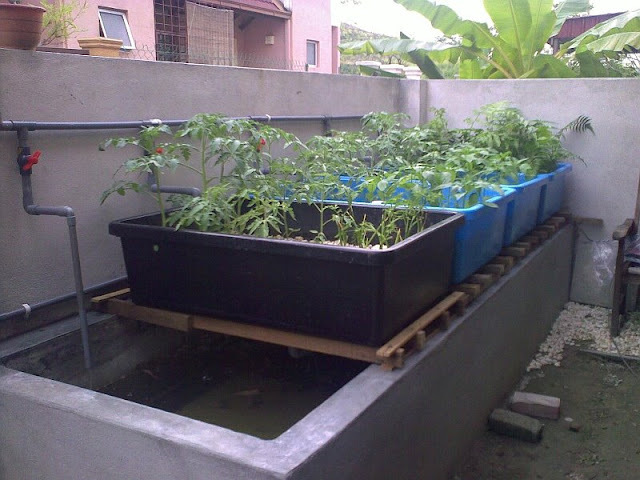 I have had feedback from other people that plants seem to hold up much better being transplanted in Aquaponics system then what you would expect in soil. Hopefully they will recover. This is the first time I am transpalnting plant this big, and what make it worst the grow bed is new. AP Berjaya, saya utamakan dua dua sekali, saya tak galakkan ikan keli kerana ia species yg tidak peduli quality air. Cuba Talapia Merah, kerana ikan in mengajar kita penjagaan kualiti air, tetapi tidaklah begitu ketat. Pam air saya hanya jalan pada waktu siang saja.